I like private facilities so the facilities were to my liking wish there were more hostels like this. When would you like to stay at YHA Eden Project? Please note: The Eden Project will be closed for the day on Sunday 2nd June 2019. YHA Eden Project is still open. YHA is the official on-site accommodation provider for the Eden Project, one of Cornwall's most recognisable attractions. 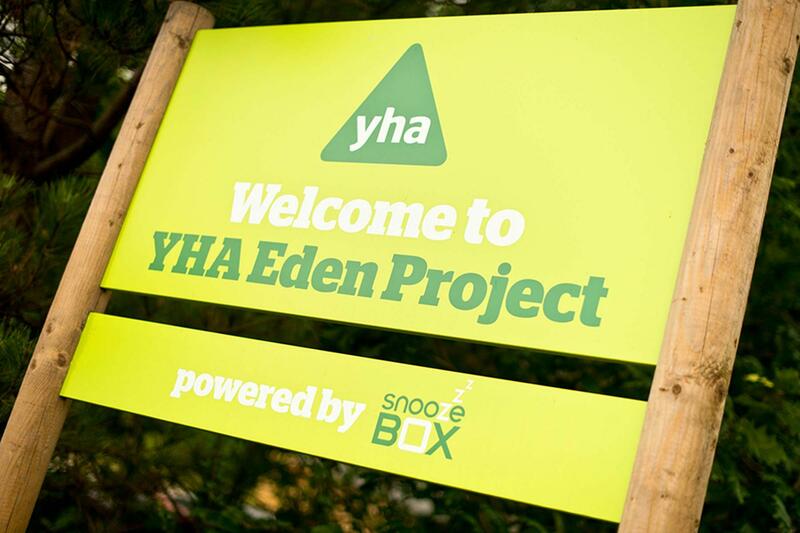 YHA Eden Project (powered by Snoozebox) is a unique place to stay and is perfectly in tune with its eco-friendly surroundings! The hostel’s en-suite bedrooms are made from recycled shipping containers and are fully kitted out with high-spec bathrooms and all the mod-cons you'd expect from a hostel! If you want to be even closer to nature, pitch your own tent or hire a beautiful festival-inspired bell tent in the summer months. YHA Eden Project accommodates up to 234 guests in 60 modern en-suite bedrooms made from shipping containers, in keeping with the Eden spirit of sustainable living and finding new uses for everyday items. These comfortable rooms are equipped with all the conveniences you expect from YHA and much more, including TVs in each room and full air conditioning, making them a fantastic base for your holiday in Cornwall. With their clever use of space and high specification bathrooms, the rooms are perfect for families and individual travellers. The hostel is open every day of the year, but the Eden Project is closed on Christmas day. Please refer to our 'How to get here' section for how to access the hostel after Eden Project opening hours. The campsite is situated within the magical grounds of the Eden Project, just a short walk away from the Eden Project entrance gates and a couple of hundred metres away from the main YHA Snoozebox hostel. It provides camping for approximately 80 people on-site. You can either bring your own tents or hire a stylish festival-inspired bell tent. Check in at our main reception before setting up your tent - the camping field is on a slight slope, just a few minutes away from the Snoozeboxes and up a country lane and two small sets of steps. There is a separate heated shower and toilet block for exclusive use by people camping and we have a fine selection of teas, coffees and local and international beers and wines. A continental breakfast is available in the morning. Other food and drink is available from within the Eden grounds during standard opening hours. Vehicles are not permitted on the camping field but can use the drop-off point at the end of the field. Please note we do not provide electric hook-up or hard standing pitches. Motor homes and camper vans are not permitted - we can only accommodate tents for access reasons. Guests are not permitted to stay in their vehicles overnight. Get the festival-inspired glamping experience with a beautiful premium bell tent! These sophisticated and spacious tipi-like tents are fitted out with a double futon bed and two single futon beds plus all bedding is included - there's enough room for four people to chill out in! There is also a wood burner to keep you cosy. There are six bell tents at YHA Eden Project. You'll feel right at home in the Eden Project with their eco-friendly solar lighting and comfy bean bags. 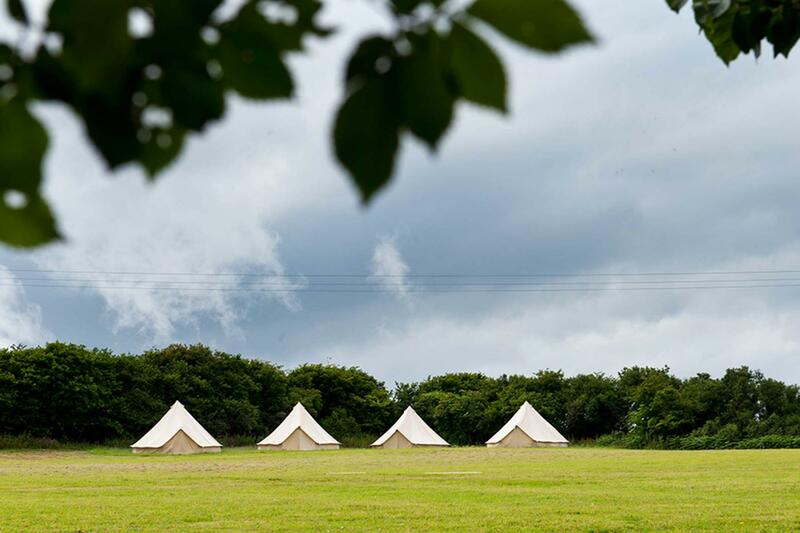 Bell Tents are available to book to stay in from May until the end of October. The walk to the bell tents can be quite strenuous but is more than worthwhile. People with mobility issues may need to bear this in mind. 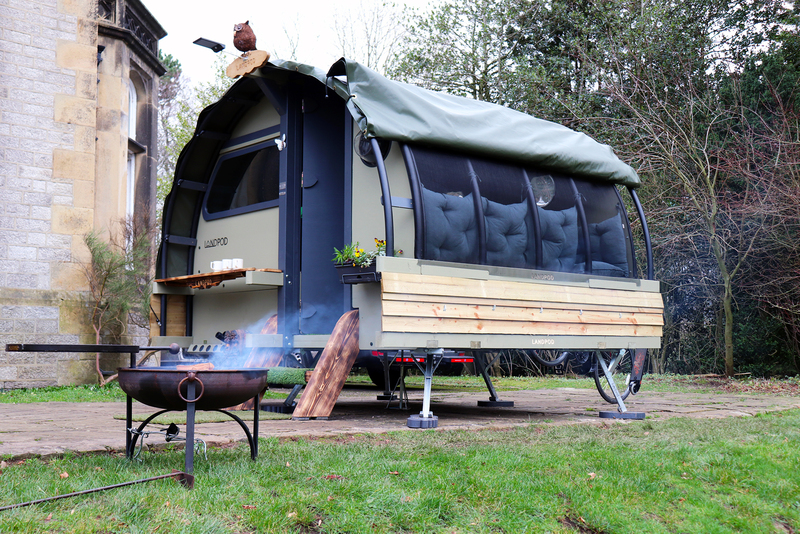 The Landpods are available to hire between April and October. Remember, to enter the central Eden Project area, both YHA Eden Project hostel and camping residents must purchase an Eden Project entry ticket. These are available to purchase directly from YHA as part of a hostel or camping booking, and give guests unlimited access to the Eden Project for their whole stay! Just add tickets to your basket at the checkout or alternatively call call 0800 0191700. All tickets are annual passes and cheaper than on the door. The Eden Project is more than an unforgettable day out. Along with its stunning gardens and popular music events such as the Eden Sessions, it breaks boundaries on social and environmental projects - creating an unforgettable visit for everyone. It's run in the greenest way possible, helping create a sustainable future and allowing valuable research into plant life, eco-systems and conservation. Get ready for a busy day exploring the capital with our delicious continental breakfast. Your breakfast includes croissant, fruit, your choice of yogurt, a choice of cereals, fruit juice and Fairtrade tea or coffee. In a rush? Breakfast is served from 7.30am – 9.30am and you can get up to 15% off breakfast as part of your online booking. We offer a fantastic range of stone-baked pizzas as well as delicious nachos throughout the evening, pick from our menu or choose your own toppings. Ben Howard, top singer/songwriter and Brit Award winner, is playing the Eden Sessions in 2018 for the third year running, along with his six piece band. Kylie Minogue, a talented singer and actress is playing the Eden Sessions in 2019! From October to February, skate the day away in the amazing setting of the Eden Project. Open every day? 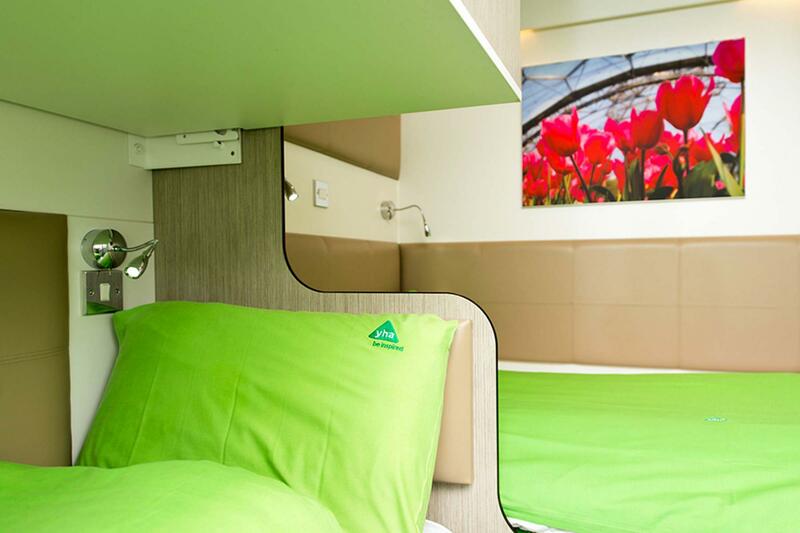 : The Snoozebox hostel is open every day including Christmas. Camping and Bell Tents are available seasonally. 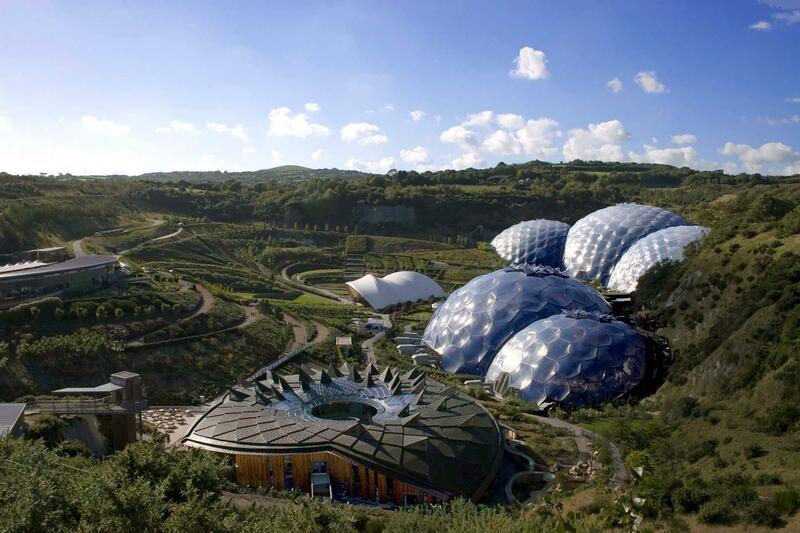 A fantastic destination for school trips and families, the Eden Project will leave you with a new appreciation of nature - you're bound to pick up gardening tips too! With the world's largest rainforest in captivity and the famous Rainforest Canopy Walkway, there are plenty of fun things to do. Take advantage of all the Eden Project has to offer and sign up for an exclusive Eden Project educational package. Pete is the manager at YHA Eden Project and has spent the last 16 years working in and managing hostels in some of the most beautiful parts of the country. YHA Eden Project has provided an exciting challenge due to its uniqueness within the YHA network. Having spent a lot of his childhood on holiday in Cornwall he now relishes the prospect of both living and working in this fantastic location and in particular working in partnership with the constantly evolving Eden Project. Manager recommends: Take a 10 minute drive to Historic Charlestown, see the tall-ships and walk along the harbour in the footsteps of Ross Poldark in this living film set. Knightor Winery is only a mile away and produces wine from vineyards on the South Cornish Coast. Visit for tours and tastings, enjoy fine wine and fine fare in their café or relax with a coffee in the sun-trap courtyard. And if the romance of your surroundings moves you, book it as a wedding venue!